Case n#1 : if you have 5 years of professional experience, your consultant CV should describe the key experiences of your career and therefore take on more than one page. On the contrary, there is no need to give too many details about your education; just the minimum will be fine. Case n#2 : if you are a young graduate with little work experience, do not spread your “experience weakness” on too many lines. Do The Proportions Between The Different Parts Look Balanced To You In Terms Of Length? To give a personal proxy, act so that the length dedicated to the “education” section and the one dedicated to the “professional experience” ones are not in a superior ratio than 1 to 3 in a sense or in the other. This way you will respect the classic proportions that human resources experts are used to. For a candidate who’s looking for his first internship, one can perfectly understand that the education section is the dominant section of his CV. Similarly for a candidate with solid experience, we can conceive a CV whose “work experience” section fills more than ¾ of the CV. Doesn’t It Look Overloaded Or On The Contrary Too Lite? To verify this point, there is a simple test to do. 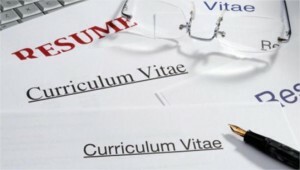 Just show your CV to your entourage to seek advice on the format, subjectively. If for example, five persons find that the document is overloaded, you may want to lighten it a bit. It’s as simple as that. Avoid a too dense CV: in a classic recruiting situation, this type of document overload repels the reader. In consulting, it also sends the signal “I am a candidate who can not synthesize,” which is a bad message, even before the interview. Is The Used Font Big Enough To Guarantee A Good Visibility? Under 12 Arial or Times New Roman, consider rephrasing some pragraphs or to look over the layout. The readers must not have to make the effort to analyze your CV. I recommend keeping the classic fonts. Some Google fonts are very trendy, but again, it is not the moment to be original on the format. Have You Used The Entire Font Types: Bold, Italic etc. So To Improve The Appearence Of Your CV ? It is the first step of a structured approach: prioritize your information. But don’t do it too much, eitheir. I have seen CVs with such a diversity of sizes, styles and colors that the reader could easily get lost. Here again, do the test with your entourage, ask for their opinion, even of non-HR professionals and that should be enough at this stage. The feedback about your document must be simple: “professional.” Here again the services of Career Center of Universities can be leveraged to provide this kind of feedback. For the candidates on the job, you can ask your alumni networks, knowing that more and more alumni organizations propose this type of “CV review” service to their members.